The following column originally appeared during March and April, 2019, in several newspapers that are part of the APG of East Central Minnesota group. One of this year’s most passionate education debates at the Minnesota Legislature involves a critical question: Who may teach Minnesota’s students? One side includes more than 30 community educator and community groups, representing rural, suburban and urban districts and charter public schools. They’re urging that new approaches, developed collaboratively over several years, be allowed to operate for a few years and be carefully evaluated before being changed. On the other hand, Minnesota’s colleges of education and the state teachers union, Education Minnesota, insist that revisions are needed now. Advocates of the new system insist there are many ways to be well-prepared. Some people asked whether patients would want a doctor (or an educator) who had not gone through a traditional training program. Each side offers supportive research. 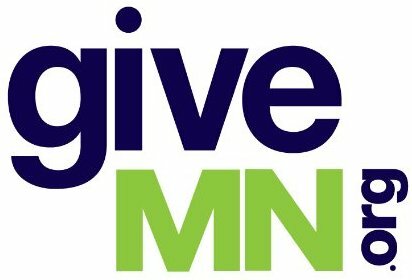 Two Education Minnesota reports are at https://bit.ly/2HkqKJw and https://bit.ly/2JbUjPe. The first report, “Smart Solutions to Minnesota’s Teacher Shortage: Developing and Sustaining a Diverse and Valued Educator Workforce,” describes alternative routes into teaching: “Some such programs have proven highly effective, and others have not.” I think that’s accurate. Two descriptions of the new system, one by EdAllies and one by Education Minnesota, can be viewed at https://bit.ly/2JeBhry and https://bit.ly/2W2M8qh. Joe Nathan can be reached at Joe@centerforschoolchange.org. Joe is absolutely correct. The current system is not working. The “harm” cited by opponents is non-existent. Give this alternative a try. Thanks for your comment, Gregg. Thanks, Joe, for addressing this critical issue. It is safe to say, regardless of what side one supports, we all want skilled, passionate, knowledgeable, and empathic individuals working with students. At the heart of the issue is, how do we ensure such individuals are available for our students? The discourse has drifted in the direction of trying to determine if these individuals are “manufactured” in a teacher education program or in the “real” world, and how will we measure if the objective is obtained. My concern with the current discourse is twofold. First, educators are not manufactured, and second, why are we pitting these two against each other? Having spent more than ten years teaching in teacher education programs there are many components that are valuable and educators should experience – but honestly, teacher education programs prepare educators for only one type of learning environment. “Real” world experience and knowledge are valuable, but successful educators do more than share knowledge. The tiered licensing system is an attempt to unite these two methods of preparing individuals to work with our students. The missing piece is bringing both sides together, within the learning environments, to continue the educational process with educators. Teacher education programs need to move to K12 learning environments. The “real” world doesn’t exist outside of K12, it is the learning environments. By reframing the discourse we can have skilled, passionate, knowledgeable, and empathic individuals working alongside our students. – ultimately force Minnesota students to lose out on great teachers. I hope your readers will act now to make sure the licensure provisions in HF 2400 do not advance! This is assuming that traditionally trained teachers are getting the kind of training that they will need to be effective. That, according to the US Bureau of Labor and Statistics, 40% of all new education grads will never go to work in a classroom after graduation, speaks volumes to me. Of course no one has investigated why but money simply can not be the only reason. That 10% of all new teachers won’t make it to the end of their first year makes me question how well prepared traditional training is. Why did they go into education? Did they do it to serve others or to serve themselves? Do they like and understand kids? If you don’t understand how fascinated a 5 year old boy finds a booger and not just his booger but any booger, early childhood education probably isn’t going to be your forte.